Currently the largest non-bank private life insurance company in the country, Max Life Insurance was founded in the year 2000 and is a subsidiary of Max Financial Services Limited. Headquartered in New Delhi, over the years, Max Life Insurance has launched a number of life insurance plans that cater to different needs of the society. 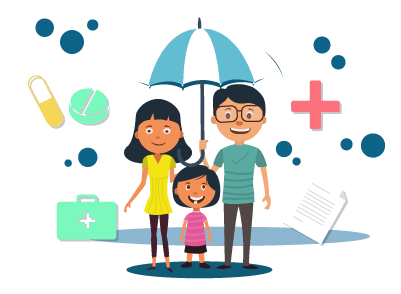 From retirement plans and growth plans to child plans and so on, Max Life Insurance offers life insurance products that are specifically designed for the need of the hour. New customers can get in touch with the customer care unit of Max Life Insurance to know more about the plan, the premium costs, and the overall advantages of availing the product. Existing policyholders can also get in touch with the customer care unit for any queries, to settle a claim, to give feedback, etc. Those who wish to purchase a policy or existing policyholders can contact the Max Life Insurance customer care by dialing 1860 120 5577(Monday to Saturday between 9.00 a.m. and 6.00 p.m.) or writing to them at service.helpdesk@maxlifeinsurance.com. New customers who wish to purchase a life insurance policy on the Max Life Insurance website or policyholders that have already purchased a plan online can get in touch with the customer care unit by dialing 1800 200 3383 or by writing to them at online@maxlifeinsurance.com or head.onlineservices@maxlifeinsurance.com. Customers can also get in touch with the customer care unit by sending them a text message. For this, all that they have to do is SMS LIFE to 5616188. Non-residents that already have a Life Insurance policy with Max Life Insurance and for those who wish to purchase a policy can get in touch with the customer care unit by dialing either 0124-5071300 or 0124-6477000. They can also write to the customer care unit of Max Life Insurance at nri.helpdesk@maxlifeinsurance.com. For existing policyholders who wish to have the latest update of their policy, can call 1860 120 5577 and be guided with the help of the Interactive Voice Response to know more about their plan, fund value (for unit-linked plans), premiums paid, etc. For unresolved queries or complaints with regard to offline plans - Manager.Services@maxlifeinsurance.com. Policyholders can contact the customer care unit of Max Life Insurance in the case of claim support by either dialing 1860-120-5577 or writing to them at claims.support@maxlifeinsurance.com. Max Life Insurance policyholders who wish to avail a cashless claim settlement benefit can get in touch with the cashless claim support team by dialing 1800-290-3151 or writing to them at phs.mli@paramounttpa.com. Near D. D. Motors, New Delhi - 110 020, India.